Man do I hate this one. See, here’s the thing; there are applications out there that allow you to share your computers processing power (when you’re not using you PC) with other machines to help solve important problems. The Berkeley Open Infrastructure for Network Computing, known as BOINC, is probably the best-known volunteer-computing platform, tackling issues like LHC@Home from CERN (the European Organization for Nuclear Research), Rosetta@Home for the University of Washington’s protein-structure project, and Berkeley’s own long-running SETI@Home initiative for analyzing radio telescope data from space. Idle Buddy is none of this. 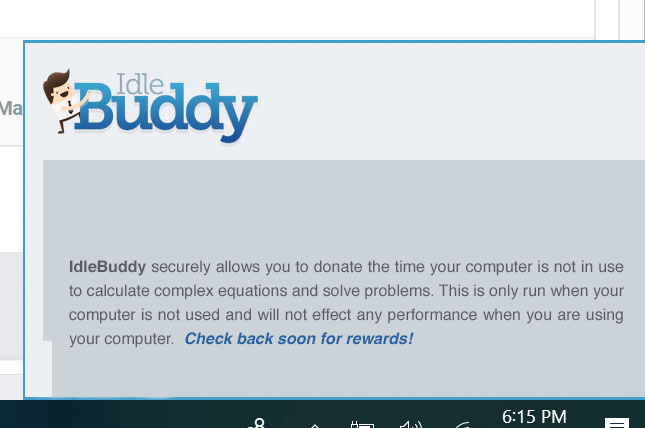 IdleBuddy is deceptive crypto-mining software often distributed with various potentially unwanted adware-type programs. Research shows that adware commonly infiltrates systems without consent. Immediately after infiltration, adware-type applications deliver intrusive advertisements and collect information relating to users’ Internet browsing activity. That means it’s not only watching what you do, it’s also using your computer to hack. And how much of your computer? Idle Buddy dosn’t care. It’ll max out your processor, and overheat your CPU, all while completing it’s nefarious work. And don’t count on just being able to uninstall this sucker. Add and Remove Programs will give you an entry, but Idle Buddy will find a reason to make every uninstall attempt fail. At the very least you’re going to have to blast this thing with a Malwarebytes scan to get it out. You may want to just bring it in to us instead. 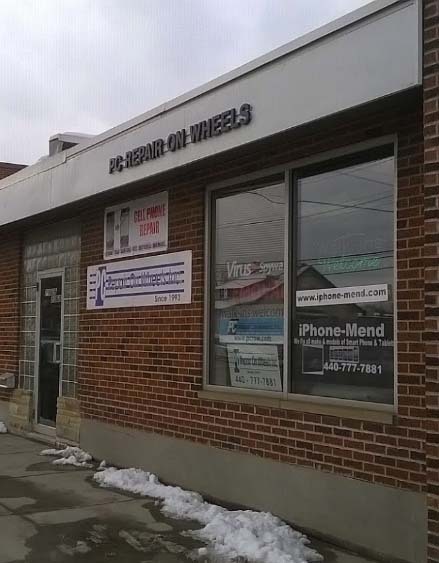 Call today 440-777-7881 to schedule an appointment!